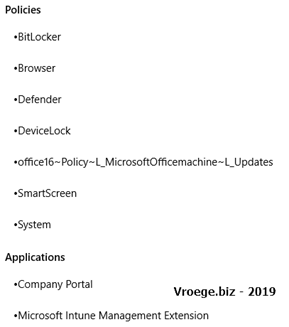 As explained the ‘Administrative Templates’ policy type is at this moment in preview which means you can test this functionality, but functionality can be changed when it’s in preview. That said based on my own tests this is working smoothly without any issues. 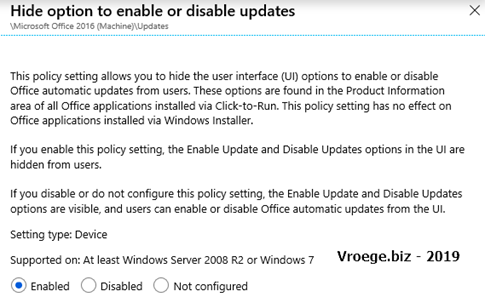 I will start with explaining how you need to configure the policy and I will end with showing the end user experience when this policy is applied on the Windows 10 client. 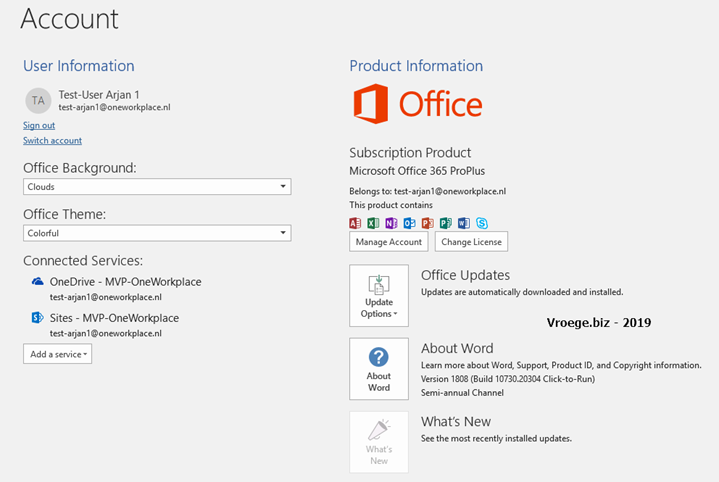 Enter a name for the policy, select Windows 10 and later as platform. 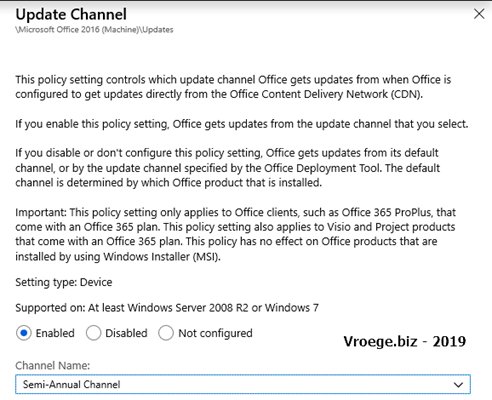 Next step is to select Administrative Templates (preview) as policy type and click on Create. 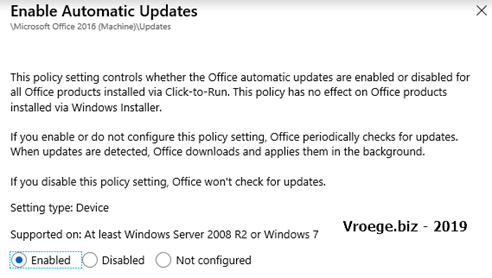 When the policy is created click on Settings. Now click on Enable Automatic Updates and select Enabled as the value and select OK.
Now click on Update Channel to configure the update channel. Select enabled and your update channel and click on OK. 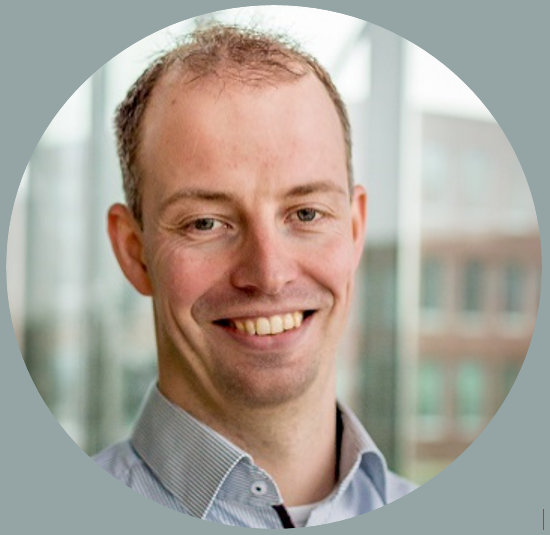 The only thing we need to do now is assign the policy to a group of users. Click on Assignments and Select a Group and click on Select and click on Save. Now the policy with settings is created and it’s assigned to a group of users. 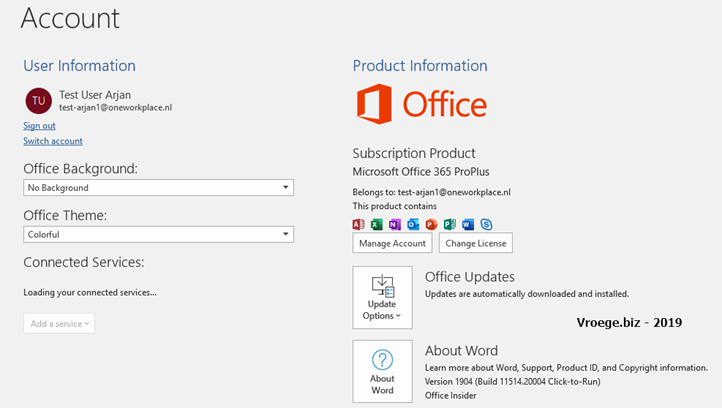 With configuring the update channel will the Office 365 Pro-Plus be downgraded to the right configured version? 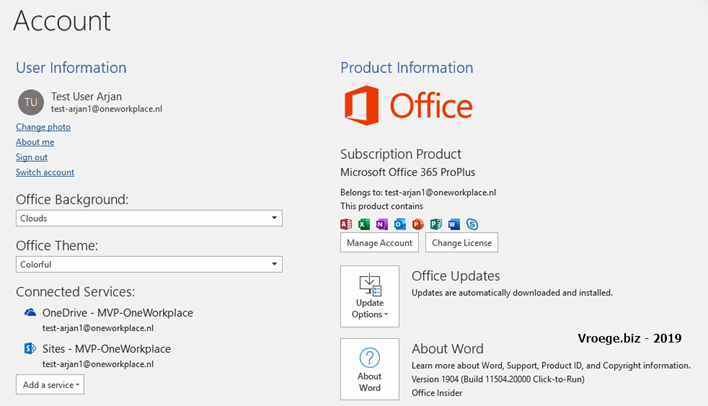 With configuring the update channel will the Office 365 Pro-Plus be upgraded to the right configured version?